Most of our plants need pollinators to set seed and give fruit. Bees are the best. The more bees we have in the garden, the more tomatos and cucumbers and plums we get. Bee Hotel – every hole is a room. 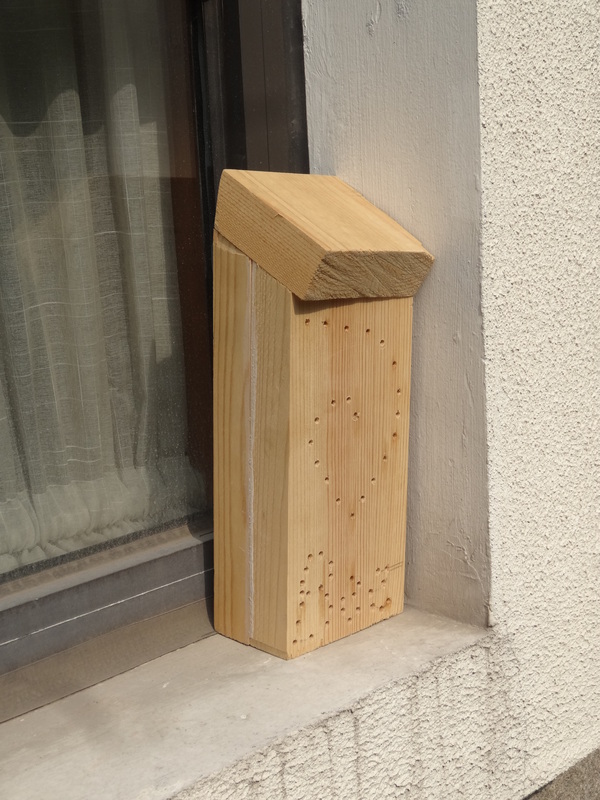 There are many different kinds of bee hotels, mainly in two categories: Hollow stems or Drilled Holes. This excellent guide with more information about bee hotels was written by Marc Carlton, and we used his advice to build a number of bee hotels for our garden. Bee Hotel “Bamboo Paradise”, to scale. Bee Hotel “Bamboo Paradise” – the clay that covers some openings indicate that a bee-mother has placed an egg inside. 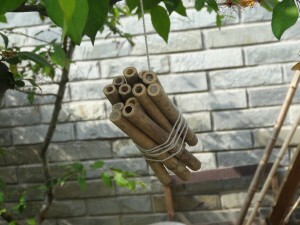 The easiest to make for us was “Bamboo Paradise”, since we have plenty of bamboo growing in our garden. We cut 15 pieces of 15 cm, and tied with a piece of string. We used a sand paper to make the openings smooth, which is supposed to make it easier for the bee mother to get in and lay the eggs. After three weeks in the garden, four of the rooms have been taken. The openings have been covered by a plug of clay, which indicates that a bee has been there and deposited eggs and given them protection. If everything goes well, the new bees will come out next spring and lay new eggs. And pollinate our garden! 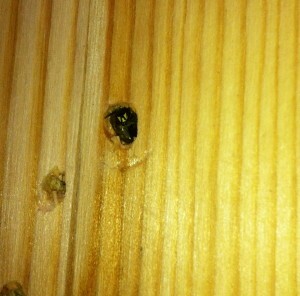 Today a mother bee is laying eggs inside one of the drilled-woodblock-beehotels, see picture. Mother Bee laying eggs in one of the drilled holes in the bee hotel “The Bund”..
Wauw, what a beautiful story about a bee hotel in working order! 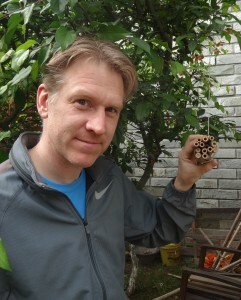 And so soon, I’m amazed:-) Whenever Rogier and I will have a garden I hope to remember and make some bee hotels! 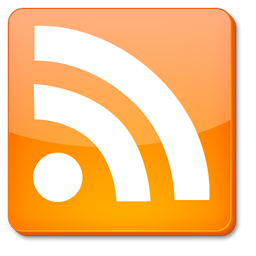 Loved reading this interesting post Göran!